Ranked as the number 1 dessert shop in Osaka, Pablo Cheesetart is now a world-famous brand and is especially famous in this region of southeast asia. Unfortunately, the franchise did not hit our sunny shores but we're delighted that Pablo Cheesetart is within arm's reach from our neighbouring country! 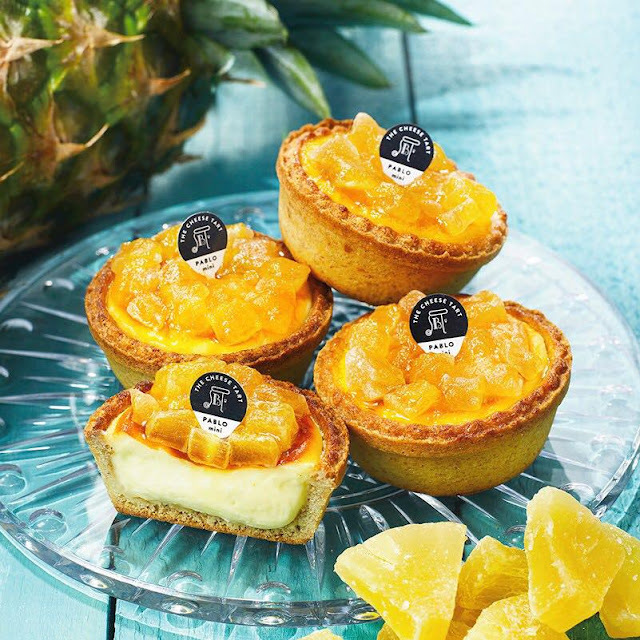 If you're asking what you should get from Malaysia as a take-home souvenir, Pablo cheese tart is one savoury dessert that you've got to get your hands on. Additional Tips: Get a cooler bag so that you can keep the item as fresh as possible. ‘Wouldn’t it be interesting to produce a cheesecake that can be served with different textures, just like a piece of steak?’ This was what Masamitsu Sakimoto thought when he visited a steak restaurant. Bearing this vision in mind, the original recipe of the Freshly Baked Cheese Tart began to take shape. With strict regulated baking methods and oven temperatures, they successfully created a cheese tart with a unique texture and exclusive taste. This was how PABLO’s signature product, the 'Freshly Baked Cheese Tart’, was born. Just like how PABLO Picasso contributed to the world of the arts, they aim to establish a strong identity and strive to bring about the feeling of surprise and excitement to all our customers through our revolutionary cheese tarts. Creamy and sweet but not excessively cloying, the pablo cheese tart tastes great at both room temperature and chilled. I prefer it cold — a sweet treat in the sultry weather of Singapore. Pablo is launching their new seasonal PABLO mini Dried Pineapple together with their PABLO mini Strawberry this coming 1st July! It definitely works great for summer :) I hope they constantly produce new products and innovate on new flavours! It'd be great if the box had a transparent film so that I'd have visibility on how the tarts are doing inside.